Deah Shaddy Barakat, 23, Yusor Mohammad, 21, and Razan Mohammad Abu-Salha, 19, were possibly shot over an ongoing dispute about parking, police said. Craig Stephen Hicks, 46, was indicted for three counts of murder on Monday. Yusor Mohammad, left, Deah Barakat, center, and Razan Mohammad Abu-Salha, right. Three Muslim students were shot dead near the University of North Carolina's campus in Chapel Hill on Tuesday evening likely due to an ongoing dispute over parking, police said. The victims were Deah Shaddy Barakat, 23; his wife, Yusor Mohammad, 21; and her sister, Razan Mohammad Abu-Salha, 19. Police arrested Craig Stephen Hicks, 46, from Chapel Hill after he turned himself in to authorities. He was charged with three counts of first-degree murder and was held in jail without bond. Police are investigating to see if the attack was a hate crime. Yusor and Razan's father, Dr. Mohammad Abu-Salha, called the shootings "execution style" and said "this was a hate crime." The FBI said Wednesday it is investigating the shootings to see if any federal crimes were committed. The Palestinian government on Saturday condemned as "terrorism" the killings at Chapel Hill. The Palestinian Foreign Ministry called Hicks "an American extremist and hateful racist," and said the shooting was indicative of an increase in discrimination against Muslim-Americans , Reuters reported. The statement asked for a Palestinian role in investigating the murders, calling for "a serious investigation and the involvement of Palestinian investigators to clarify the circumstances of these assassinations and premeditated murders." Like all Americans, I was shocked and saddened by this week's heinous murders of three young people in Chapel Hill, North Carolina. I join President Obama in offering my deep sympathies to the friends and loved ones of Yusor Mohammad Abu-Salha, Deah Shaddy Barakat, and Razan Mohammad Abu-Salha. In addition to the ongoing local investigation, I have made available the full resources of the Department of Justice to help ensure that justice will be served in this case. The Department's Civil Rights Division and the FBI, along with the U.S. Attorney's Office for the Middle District of North Carolina, have opened a parallel preliminary inquiry to determine whether any federal laws, including hate crime laws, were violated. Protecting the safety and securing the civil rights of everyone in this country is, and must always remain, a top priority for today's Department of Justice. We will never waver in this commitment. And going forward, we pledge to stand with the families of these three remarkable young people – and with all whose lives were touched by this tragedy – as they begin the long road to healing. Suspect had at least at least a dozen firearms in his home, ammunition, according to warrants filed in Durham County court Friday. The Associated Press reported that Craig Stephen Hicks, who is charged with three counts of murder in the shooting deaths of three Muslim college students, had three handguns, along with several rifles and shotguns in his condominium. In a statement, President Obama said no one in the U.S. should ever be targeted because of "who they are, what they look like, or how they worship." Yesterday, the FBI opened an inquiry into the brutal and outrageous murders of Yusor Mohammad Abu-Salha, Deah Shaddy Barakat, and Razan Mohammad Abu-Salha in Chapel Hill, North Carolina. In addition to the ongoing investigation by local authorities, the FBI is taking steps to determine whether federal laws were violated. No one in the United States of America should ever be targeted because of who they are, what they look like, or how they worship. Michelle and I offer our condolences to the victims' loved ones. As we saw with the overwhelming presence at the funeral of these young Americans, we are all one American family. Whenever anyone is taken from us before their time, we remember how they lived their lives – and the words of one of the victims should inspire the way we live ours. "Growing up in America has been such a blessing," Yusor said recently. "It doesn't matter where you come from. There's so many different people from so many different places, of different backgrounds and religions – but here, we're all one." The FBI opened a “a parallel preliminary inquiry to determine whether or not any federal laws were violated related to the case” on Thursday. The FBI and federal Bureau of Alcohol, Tobacco and Firearms are conducting their own investigation into the shooting. 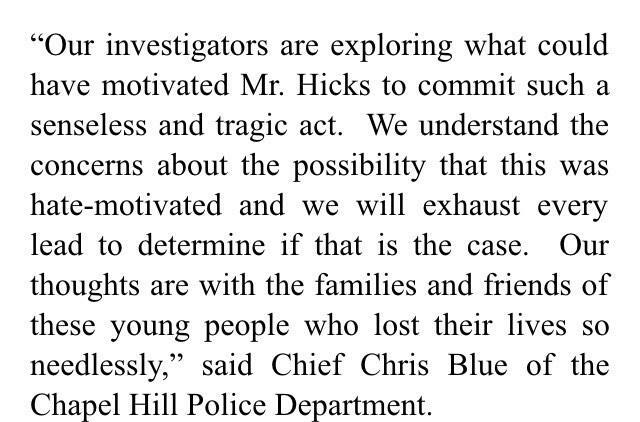 "The FBI is continuing to provide assistance to the Chapel Hill Police Department to process evidence related to a triple homicide investigation. The FBI has also opened a parallel preliminary inquiry to determine whether or not any federal laws were violated related to the case," the FBI said. Hicks had no prior criminal record and the Chapel Hill Police Department reported it had only one contact with him. That contact involving him calling to request a car be towed that was parked in a fire lane in the vicinity of the Finley Forest condominium community where the slayings later occurred. According to Chapel Hill police, Hicks was a witness as the tow truck driver who answered the call was assaulted by a person upset at the car being towed. Prior to Tuesday's shooting CHPD had had no dealings with victims Deah Barakat and Yusor Abu-Salah who lived next door to Hicks. Craig Stephen Hicks, 46, in a North Carolina courtroom on Wednesday. Victim Yusor Mohammad's father, Dr. Mohammed Abu-Salha, said on MSNBC that Hicks "hated them for the way they looked and the Muslim garb they wore." "Even though the murderer can say it was a parking dispute, whatever he was picking on, he came to that apartment with his gun two or three times before the murder, on different occasions," he told host Ronan Farrow. "My daughter, Yusor, complained and she told us she felt that man hated them for the way they looked and the Muslim garb they wore. She felt the heat has risen after she moved into the apartment and her friends came to visit and most of them wore Muslim attire. So she was worried about that." The father of the two Muslim women killed in the shooting called on President Obama's Justice Department to investigate: "This has hate crime written all over it!" he said. Casket carried out of #ChapelHillShooting funeral. #ChapelHillShooting victims funeral at Raleigh, NC mosque. Thousands in attendance. Hicks would often confront the victims about parking spaces with a gun on his hip, a former roommate who lived in the same apartment told the Associated Press. Flowers near the building where three victims were shot. A friend of Deah and Yusor, who used to live in the apartment until they got married, said Hicks would complain about once a month that they were taking up to many parking spaces — and would often confront them with a gun on his hip. "He would come over to the door. Knock on the door and then have a gun on his hip saying 'you guys need to not park here,'" said IMad Ahmad, a graduate student in chemistry at UNC-Chapel Hill. "He did it again after they got married." Both Hicks and his neighbors complained to the property managers, who apparently didn't intervene. "They told us to call the police if the guy came and harassed us again," Ahmad said. "This man was frustrated day in and day out about not being able to park where he wanted to," said Karen Hicks' attorney, Robert Maitland. A woman who lives near the scene described Hicks as short-tempered. "Anytime that I saw him or saw interaction with him or friends or anyone in the parking lot or myself, he was angry," Samantha Maness said of Hicks. "He was very angry, anytime I saw him." Meanwhile, Hicks's wife said later Wednesday that she was filing for divorce. And his ex-wife told the Associated Press that "he was obsessed with the shooting-rampage movie Falling Down, and showed "no compassion at all" for other people." A large crowd gathered Wednesday evening in Chapel Hill for a vigil, during which members of Deah Shaddy Barakat's family spoke to mourners and the media. The FBI Wednesday was helping the Chapel Hill Police Department process evidence related to the shooting, but had not joined the investigation. The Chapel Hill Police Department has requested the assistance of the FBI to process evidence in a triple homicide investigation. It is standard practice for our state and local law enforcement partners to enlist the expertise and resources of the FBI as needed. 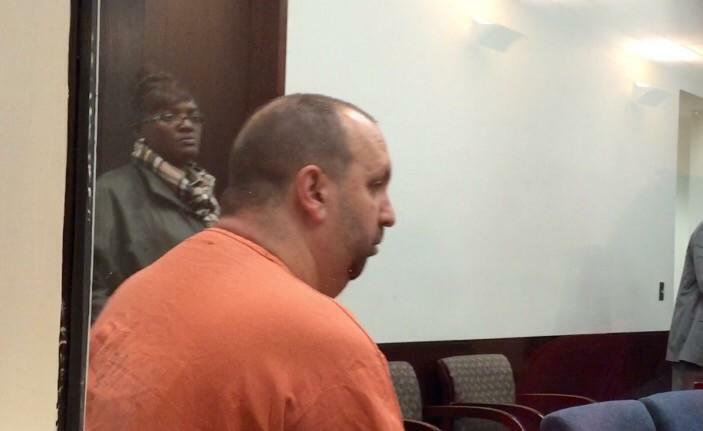 Suspected shooter Craig Hicks was transferred Wednesday to Central Prison, USA Today reported. Authorities reportedly said the transfer was for Hicks' own safety, but did not say if there had been threats against his life. 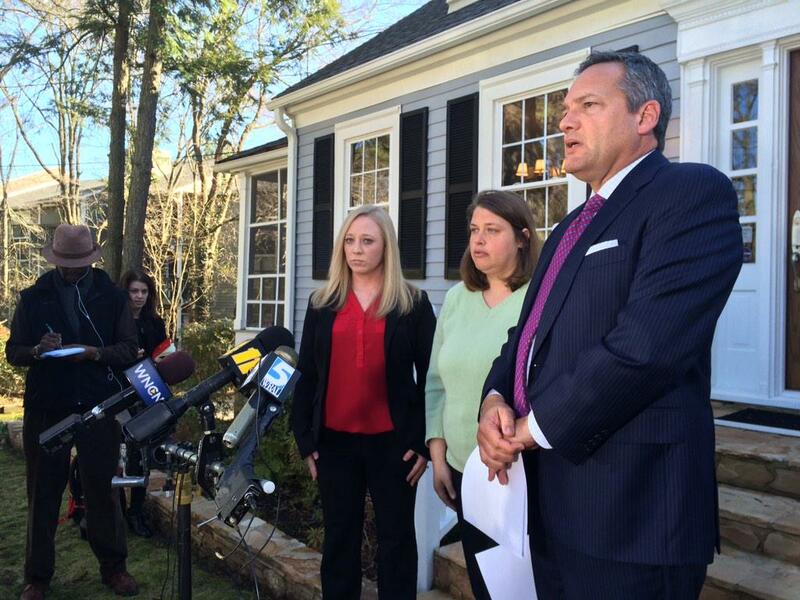 The family of Deah Barakat, one of the shooting victims, has given a news conference. “Six weeks ago I cried tears of joy at my baby’s brother’s wedding; today we are crying tears of unimagined pain," his elder sister Suzanne told reporters. Describing the murders as having been committed "execution-style," Suzanne Barakat, a medical physician, called for the authorities "to investigate these senseless and heinous murders as a hate crime." "We are still in a state of shock and we will never be able to make sense of this horrendous tragedy," she said. In 2010, an online account that appeared to belong to Hicks posted comments defending Muslims amid the ongoing debate over the so-called "Ground Zero mosque." He said he had known "several dozen Muslims" and believed "that they aren't what most think of them." Attorney said Craig Hicks had a "longstanding issue" with the parking and said the shootings have nothing to do with religion. U.S. Attorney Ripley Rand said at a news conference that the incident was “not part of a targeting campaign against Muslims in North Carolina” and that it was an "isolated event." And Duke University Imam Abdullah Antepli said that this incident "may or may not be a hate crime." He said that speculating or jumping to any conclusions would only increase tension and not help the investigation. "I hope as a community we will turn this into a moment of support and solidarity with one another," he said. Watch a news conference with law enforcement officials here. A vigil "to honor the lives, work, and memory" of the three victims is being held at the Peace and Justice Plaza in Chapel Hill tonight. According to the event page on Facebook, nearly 3,000 people have said they will attend the vigil at 7 p.m. ET. The NCSU Muslim Students' Association has organized a prayer meeting for the three victims on Thursday. The Facebook event page says: "Honor. It is what we all carry in our hearts at the moment, to have known the three gems of our community who left us yesterday. But, as we are constantly reminded, Allah choses the most beautiful flowers to return to Him. So let's remain confident that Deah, Yusor and Razan are not lost, they are found. They are winners." Chapel Hill Mayor Mark Kleinschmidt said the police department will use all resources to determine whether hate was a motivating factor in the shooting. "Our community has been rocked by a horrible crime with the shootings of three young people," he said in a statement. "I share strong feelings of outrage and shock with my fellow citizens and University students -- as well as concerned people everywhere. We do not know whether anti-Muslim bias played a role in this crime, but I do recognize the fear that members of our community may feel. Chapel Hill is a place for everyone, a place where Muslim lives matter." Nida Allam, who considered Yusor to be her close friend, told BuzzFeed News that it seemed "like just yesterday" that she was planning her friend's bridal shower. No words could do justice when describing Yusor, Razan and Deah. They were the most genuine people you could ever imagine meeting. They were always the first to sign up to volunteer. I considered Yusor my best friend, I saw her and Deah just Saturday. She was so excited about the new sink they just got and that their renovations were finally finished. She just started a job with her brother-in-law Farris. It seems like just yesterday I was working with Razan to plan Yusor's bridal shower. They had just gotten back from their honeymoon early last month. All three of them were great friends that you just don't get to have that often. I always thought Razan was the coolest girl, she was so artistic and creative. She just won a competition at NCSU For her architecture project. I remember she made this amazing hat out of wire that I was just amazed by. Deah and I went to high school together and college. Ever since I've know him he's always been trying to service the community. Him and his family were always the first to reach out when someone was in distress. To think that something as cruel as this could happen to my best friends is unfathomable. They lived as saints and died as martyrs. Dr. Mohammad Abu-Salha, the father of shooting victims Yusor Mohammad and Razan Abu-Salha, called the triple homicide a hate crime in an interview with the News and Observer newspaper. Dr. Abu-Salha said the murder was "execution style, a bullet in every head." "This was not a dispute over a parking space; this was a hate crime. This man had picked on my daughter and her husband a couple of times before, and he talked with them with his gun in his belt. And they were uncomfortable with him, but they did not know he would go this far." "This is a result of hate and stereotypes," he said "It's a big problem. Hate and stereotypes are products of the media and the press pushing people in all directions and focussing on the bad. People should just give up hate and stereotypes and get to know you before they take a stand against you, and what you practice and what you believe in." Dr. Abu-Salha owns a psychiatry practice in Clayton. Here's everything we know so far on the alleged shooter, Craig Stephen Hicks. Police release audio of a 911 call following the shooting. The caller said she heard a burst of about 8 shots "in an apartment" and that she heard "more than one girl screaming," then another three shots. "I have never heard gunshots before like that." Police also released this 911 call, the first of the two, in which the caller says she heard about five to 10 "gunshots" and "kids screaming." The alleged perpetrator was assigned a public defender and granted no bond. North Carolina Muslim community is in shock and disbelief following the shooting. "That's the feeling right now. This is something we're not used to happening," said Nashid Lateef, vice chairman of the Islamic Association of Raleigh. The brother of the sisters called them "two of the world's greatest ladies." 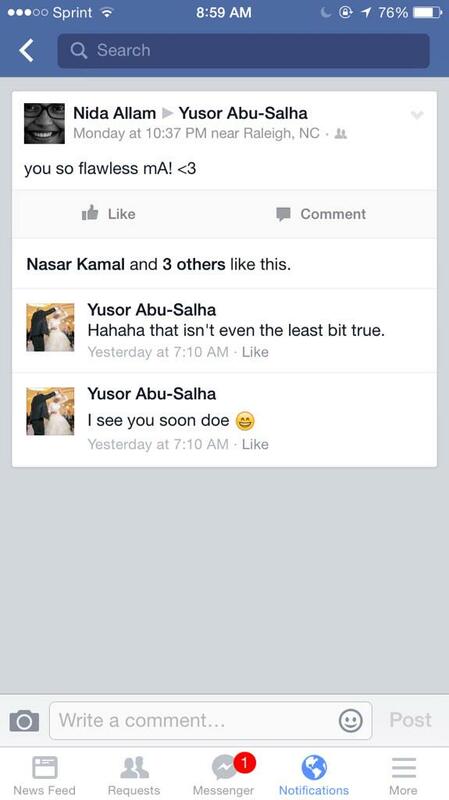 The brother of the two sisters killed shared a post from Barakat's brother, and thanked everyone for their prayers. Barakat's brother said he keeps wanting to text his brother, but then realizes he can't. Barakat's brother Farris said in an emotional Facebook post that the victims are "ultimate winners." Chapel Hill Police: "Our preliminary investigation indicates that the crime was motivated by an ongoing neighbor dispute over parking." Local media report that there have been ongoing disputes between the victims and alleged shooter over a parking space, sparking the violence. Police are investigating the shooting to see if it's a hate crime. The three victims were members of the Islamic Association of Raleigh, confirmed Nashid Lateef, vice chairperson of the association. Lateef added that all three victims were very active with the association's youth committee. Craig Stephen Hicks turned himself in to the Chatham County Sheriff's Office on Tuesday evening, Sgt. Kevin Carey told BuzzFeed News. 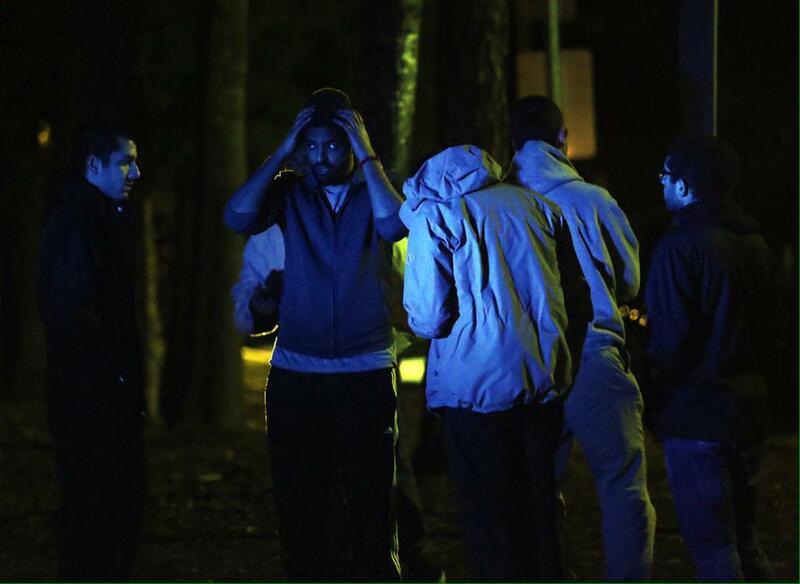 Three college students were shot to death Tuesday night near the University of North Carolina's Chapel Hill campus. University officials identified the victims as Deah Shaddy Barakat, 23; his wife, Yusor Mohammad, 21; and her sister, Razan Mohammad Abu-Salha, 19. A friend of Deah — who also knew his wife and her sister — told BuzzFeed News that the three victims were Muslim. He and Deah attended the same mosque, added the friend, who asked that his name not be used out of respect to the family of the victims. Other people who identified as their friends have taken to social media — especially a Facebook page titled Our Three Winners — discussing the Muslim faith of some of the victims. The hashtag #MuslimLivesMatter is trending on Twitter. Deah was a second-year student in the School of Dentistry, Yusor planned to begin her dental studies in the fall, and Razan was a student at North Carolina State University, school officials said. The shooting happened about 5 p.m. in a condominium complex off campus called Summerwalk Circle, police said. Officers responding to reports of gunshots in the area found the three victims, all of whom were pronounced dead at the scene. Police said they arrested Craig Stephen Hicks, 46, from Chapel Hill. He was charged with three counts of first-degree murder. The gunman reportedly turned himself in to police, WRAL reported. Residents in the area were shaken by the shooting. "It's a very quiet community," Bethany Boring, who lives in the complex, told WRAL. "It's a lot of graduate and professional students. You know, professional's families." Police did not immediately respond to a BuzzFeed News request for information. Chapel Hill police officers investigate the scene of shooting 3 confirmed dead near Summerwalk Circle in Chapel Hill. Deah and Yusor recently posted images of their wedding. Older photos show them graduating from college. Razan's Facebook page included photos of her graduating from college. Her profile said she studied architecture and environmental design at N.C. State. Images from the scene showed distraught residents seeking information. 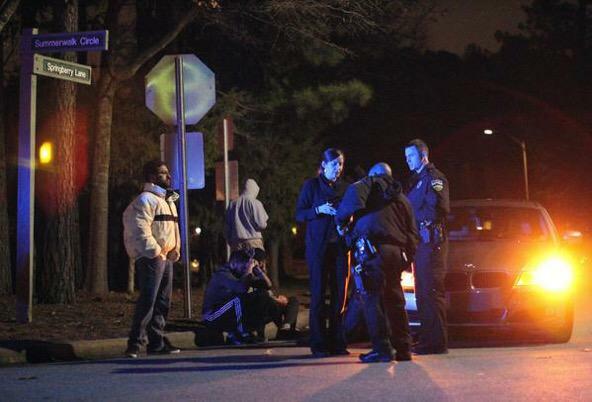 People react at the scene of a shooting in Chapel Hill that left three dead Tuesday evening.